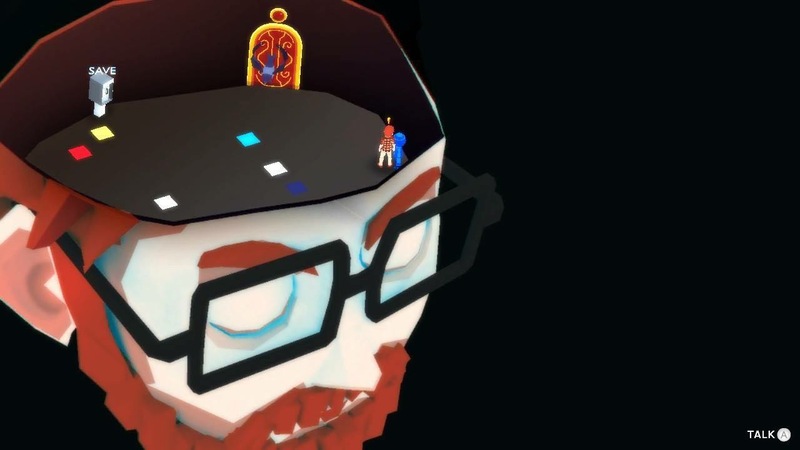 It is not easy for an indie game to drum up as much hype as YIIK (Y2K) has over the years since it was first previewed in the summer of 2016. From it’s insane visuals, unique sounds, and talented voice acting, this game promised to be one hell of a trip. Personally, it was my most anticipated game to cover while attending PAX East 2018. After trying just one brief mission, I knew I had to continue this interesting game. Set in a small town in the late 1990’s the story follows Alex, a recent liberal arts graduate who has returned to his mother’s house in the hopes of doing something with his life. After being asked to go pick up some groceries, Alex encounters a strange mustached cat who leads him to an abandoned factory… and that is when it all goes weird. Suddenly Alex is transported to a strange dimension being attacked by even stranger monsters. Working his way through this phantasmagoria, Alex eventually meets Sammy, a peculiar girl who seems out of time and space. After a brief introduction Sammy is ripped away by three mysterious figures and the mystery begins. The exact look of YIIK is hard to nail down into one category. The world is a wash of vibrant colors, surreal imagery, and sometimes things that just make you slightly uncomfortable. The game truly feels like a love letter not only to surreal and postmodern art, but to the video games of the time. The world exists in a beautifully simple low polygon style, with splashes of pixel art thrown in during some minigames, as well as wonderful fully drawn characters during cut scenes and conversations. YIIK has by far one of the most diverse and interesting soundtracks for a game. Although at times this vast variety can be a bit jarring. One particular scene had a standard dungeon creepy vibe, but when a random encounter happened, it was a choir of synth melodies and lo-fi beats. But this isn’t necessarily a bad thing, it adds to the feeling that the world you are exploring is off, and nothing is right. YIIK also boasts an incredible voice cast. The developers could have easily just left the dialogue up to the player, but the voice cast adds so much emotion and reality to the game. While the basic gameplay is like that of any other typical turn based RPG, there are some great things that YIIK adds. Alongside the party is a host of helpful “tools” such as a sentient stuffed panda, the ability to whip your hair so hard it can cut trees, and a cat you can throw across the map to hit switches. Combat plays more like a high stakes game of Bop-It, with a variety of quick time events being the basis of all damage and dodging. The level system is also one of the most unique things I have ever experienced in a game. Levels are only gained by spending your experience points in “The Mind Palace”. It should be mentioned, like the old school RPGs the game is an homage to, this game can be very unforgiving with its puzzles and battles. While YIIK is definitely a work of art, this sometimes does come at the cost of gameplay and substance. The writing sometimes heavily relies on jokes that are definitely aimed at hipster millennials nostalgic for Saturday morning cartoons and the early internet. So, while this game is very entertaining, it may be a little to niche for some casual gamers. That being said, the story being told is one that keeps you coming back. Each new mystery adds a layer to this complex narrative, which will always keep you coming back for more. Fans looking to find out more information on YIIK can find it here on their website. Unbalanced combat can make things incredibly tedious, or in some situations, nearly impossible. Niche humor, and obscure visuals, can make the experience feel more alien than the developers may have anticipated.